Marvel Comics celebrated the fact that they have 20 female-led titles this year in their standing-room-only Women of Marvel panel at C2E2. 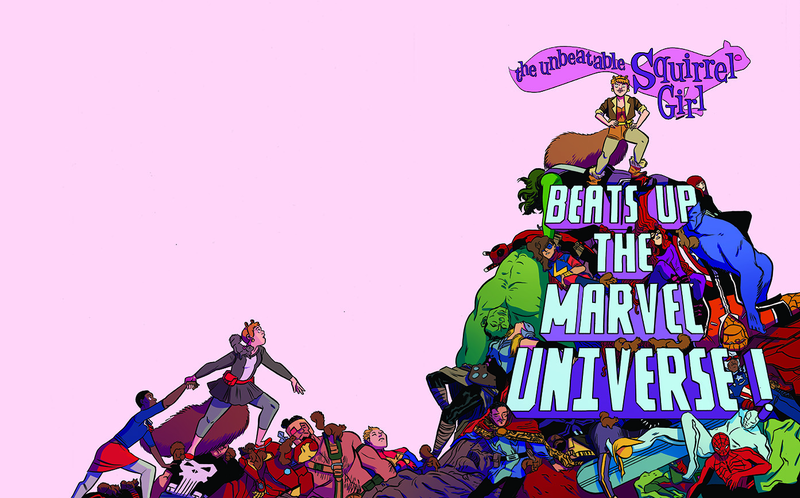 In that panel, they announced that one of the more popular female-led titles, The Unbeatable Squirrel Girl – written by Ryan North and drawn by Erica Henderson – is getting her own original graphic novel later this year! TUSGBUTMU (you know, that acronym’s, like, barely any shorter) comes out in October! Will you be picking it up? Which of Marvel’s female-led titles are your favorites? Tell us in the comments below!